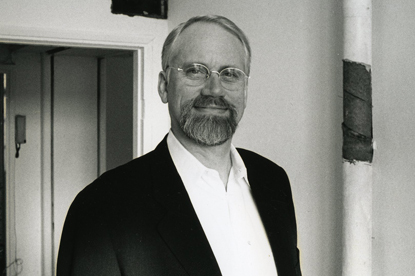 LONDON - Dan Wieden, the co-founder and chief executive of Wieden & Kennedy, will be presented with a Clio Lifetime Achievement Award in May. Wieden will be presented with the award on 13 May at the Clio Awards, which celebrates its 50th anniversary this year. Wayne Youkhana, the director of the Clio Awards, said: "Clio is honoured to present Dan Wieden with the Lifetime Achievement Award. "He truly embodies the essence of a strong, committed leader, one who has made significant fundamental and progressive contributions for his clients and the industry. Youkhana added: "Dan’s contributions and pioneering spirit have certainly made a lasting impact on those who not only have had the pleasure to work with him, but the ad industry as a whole." Wieden started his career in 1982 at an advertising agency in Portland, Oregon, with his partner David Kennedy. The pair later founded Wieden & Kennedy in the same city with one client: Nike. Wieden said: "It is a great, great honour. And I am forever thankful. "That said, I feel like a thief. This award rightfully belongs to that humming mass of brains and hearts at Wieden & Kennedy that built this network, office by office, day by day, job by job. They take my breath away." The Clio Awards will take place at the Hard Rock Hotel & Casino in Las Vegas between 12-14 May. The festival will also include four award shows: the Moving Image Awards, the Emerging Media Awards, the Communications Awards and the Design Awards.